Do you think you’ve been living your true purpose? It’s possible to be wrong about that. If you’re uncertain or suspect you’re not living up to your full potential, look out for the following warning signs. 1. You have a feeling that you are missing something in your life. Do you feel like there should be more to life? You feel like there’s more to who you are and you need to take the next step to figure it out. 2. Your job doesn’t bring you joy. if your job makes you feel unhappy then you’re not living in accordance with your true purpose, especially if you haven’t made any plans to leave that job. You are jumping from job to job or always looking for another opportunity because you don’t feel fulfilled. 3. You are not truly happy. When you aren’t in tune with your proper purpose, things that make you happy can’t keep you happy. You might feel dead inside because you haven’t been living your truth. Most people just exist, and not really live. 4. You are jealous of others. You often compare yourself to others. You think everyone else is having a far better life than you are. 5. You feel disconnected from life. Your life is good for the most part, but you can’t help but feel disconnected from the passion and excitement that others feel about their work and life in general. 6. You are not helping others. You are only focused on yourself. It’s easy to get lost in life and disconnect from who we are and what we are here to do. A consequence of this is we focus too much on meeting our own needs instead of the needs of others. 7. You lack direction in life. You feel like you are at a crossroad and have no idea what you want to do. Where are you going in life? What’s your journey about? What would you love to achieve while you’re here? If you are not going in the direction you have chosen you will end up anywhere. When other people dictate your journey, you do often aim towards a purpose—it’s just not your true purpose. 8. You have a hard time staying motivated. You stop and start and stop again. You say you want to be successful, but your behavior doesn't line up with your words and thoughts. 9. You are not living your dream. At one point you had big dreams and aspirations that made you feel excited and alive, but that was before you decided it was easier to just play it safe. You want something more, but are afraid of the uncertainty that lies on the other side of your dreams. You have gotten comfortable with the discomfort because you at least know what to expect. If you do believe you have a purpose (and maybe even know what it is), you might still not be living it if you’re putting your most inspired ideas on the big burner. 10. You don’t believe you have a purpose. You think you aren’t the sort of person who has a purpose, or that you don’t need to have one. But the truth is that we all do have a purpose. Every person has a unique gift to offer. Our job is to find that gift and give it away. If you don’t recognize this, you risk living aimlessly. Most struggle to find their big why or purpose because they have been given a lot of fluff not the actual tools to figure it out. The reality is you might want to know your big why but have been let down by so many books and people to promise to help you find it only to let you down by not being specific. If you have struggled to find your Why I want to put your fears to rest, you weren’t given the actual steps to figure this out and guided through the process. If you resonate with a few of the signs above, it’s time to discover your big why. 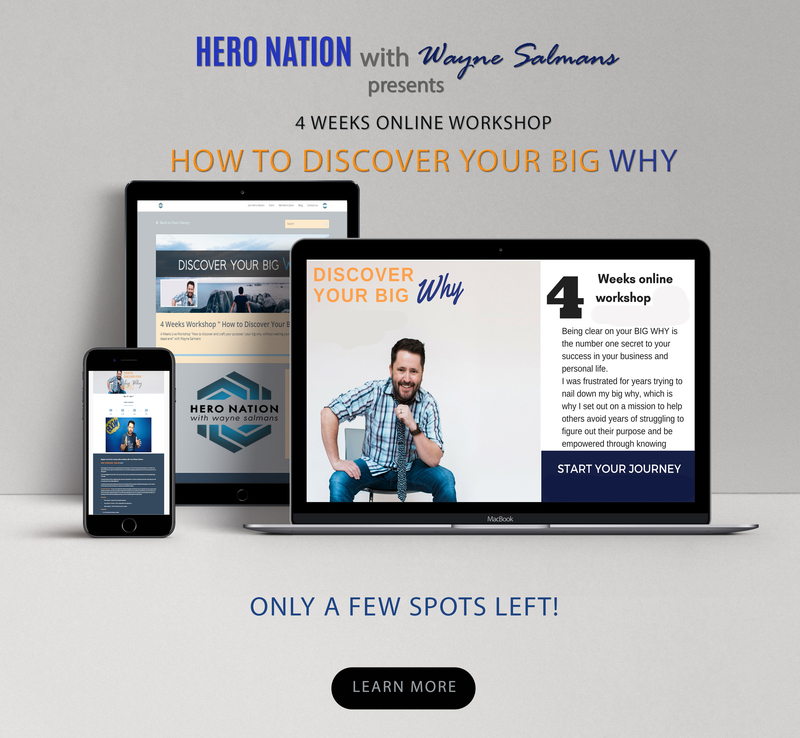 Join my workshop “How to Discover Your Big WHY” on February 8th. Click here to learn more. 1. That it will just hit you one day. 3. That is only a what not a why. 4. That I don’t need to know it. 5. "Takes a long time." Not if it is done this way and on purpose.